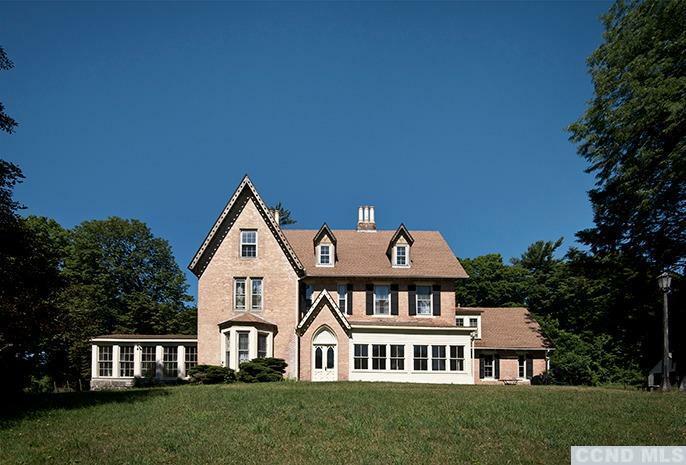 This incredibly rare find is 1850 Gothic manse built by Ezra Fitch, co-founder of Abercrombie & Fitch. Fitch's former summer home boasts spacious rooms with 12&#8242; ceilings, ten bedrooms and five bathrooms. The grand entrance is marked by original stone pillars and winds past expansive grounds including seasonal Hudson River & Berkshire Mountain views. Original details abound, including wood work, parquet floors, crown moldings and more. With extensive renovation already done, including a geothermal heating system, Fitch's Mansion could be a grand private residence or inn. With its conservatory, bay windows, seven gables and ten working fireplaces, the property presents a truly unique opportunity. NYC: 2.25 hours.